The diets of squirrels vary with species, location, seasons and opportunities. In nature, they mainly forage for plant material, and around people they're famous for raiding bird feeders and gardens. They can make a living in both forests and city settings. They will gather nuts while in season, and live on their cached supplies through the winter. Pine squirrels are "larder hoarders" who keep food in a single location. Gray squirrels are "scatter hoarders" who will keep food in a number of locations. When nuts and seeds, called mast, are in season, squirrels will actively harvest and hoard them. The Washington Department of Fish and Wildlife describes how gray squirrels have learned to nip off small twigs with clusters of nuts, and gather them on the ground. Pine squirrels will leave "middens" of pine cone scales at the bases of trees where they feed. The Adirondack Ecological Center lists tree bark and buds as winter and spring foods for gray squirrels, along with fungi and fruits like black cherries in the summer. Sometimes, nuts that are buried and not retrieved will sprout, helping to spread forests. The University of California says ground squirrels prefer greens in the springtime, then switch over to seeds after the grasses wither. They're good at finding food a little at a time, and once they've had their fill, they will continue gathering to build up a supply in their burrows. 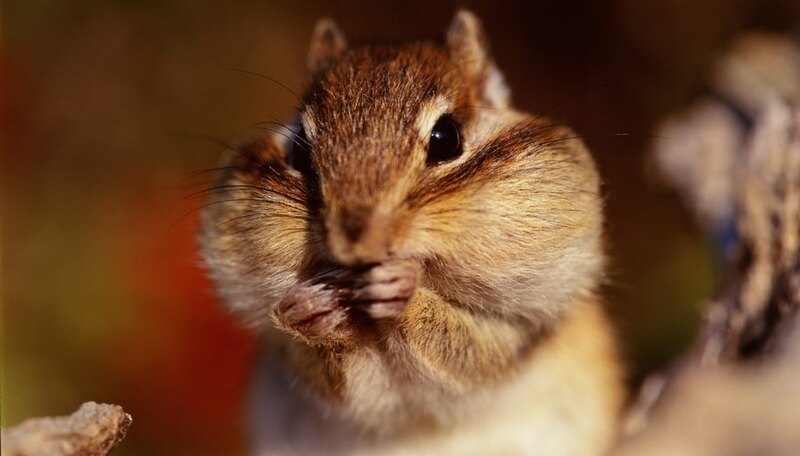 Flying squirrels also eat seeds and nuts, but according to the National Wildlife Foundation, they're omnivorous. 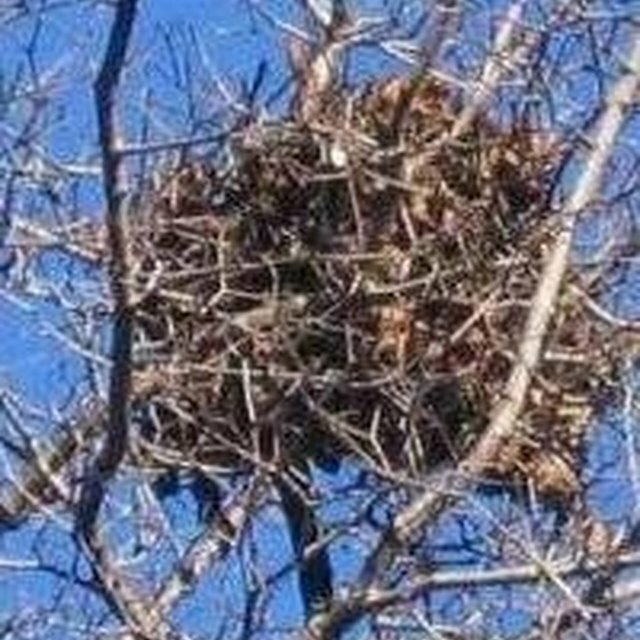 They will raid bird nests for eggs, and eat carrion if it's available. Being opportunistic feeders, squirrels will often accept foods that aren't good for them. It's easy to understand how treats like cake or doughnuts aren't good for them, but the same is true for peanuts and corn. Squirrel Refuge explains that peanuts and corn make a poor diet, much like candy as a diet for people. When these make up a large part of their diet, squirrels become vulnerable to metabolic bone disease. They recommend feeding healthy foods like fruits and vegetables first, and saving treats like nuts for later. Squirrels who get their favorite treats first can become picky eaters. Washington Department of Fish and Wildlife recommends against feeding squirrels, because they may lose their fear of humans, and they may become aggressive if they don't receive the treats they have learned to expect. Squirrels are drawn to bird feeders for the seeds, and they will try plenty of tricks to reach them. The best solution is some kind of barrier, like a collar, or a smooth pole which they aren't able to climb. Squirrels will dig up garden bulbs like tulips, and sometimes they will dig in flower pots. Better Homes and Gardens magazine recommends using a mesh, such as chicken wire, either staked on the ground over the bulbs, or else fashioned into a cage around the bulbs. Raising plants that squirrels like is a way to feed them without human interaction. The Wisconsin Squirrel Connection recommends hazelnut bushes as a food source that squirrels can forage for themselves. Squirrel-friendly trees include walnut, hickory, oak and maple. Planting these also provides shelter for both squirrels and birds. Squirrels need calcium, and in the wild, they will gnaw on bones and antlers, so a soup bone tied in a tree can provide this nutrient. SquirrelRefuge.org: What to Squirrels Eat? Silbajoris, Alex. "What Types of Foods Do Squirrels Eat?" Sciencing, https://sciencing.com/type-foods-do-squirrels-eat-5004359.html. 24 April 2017.